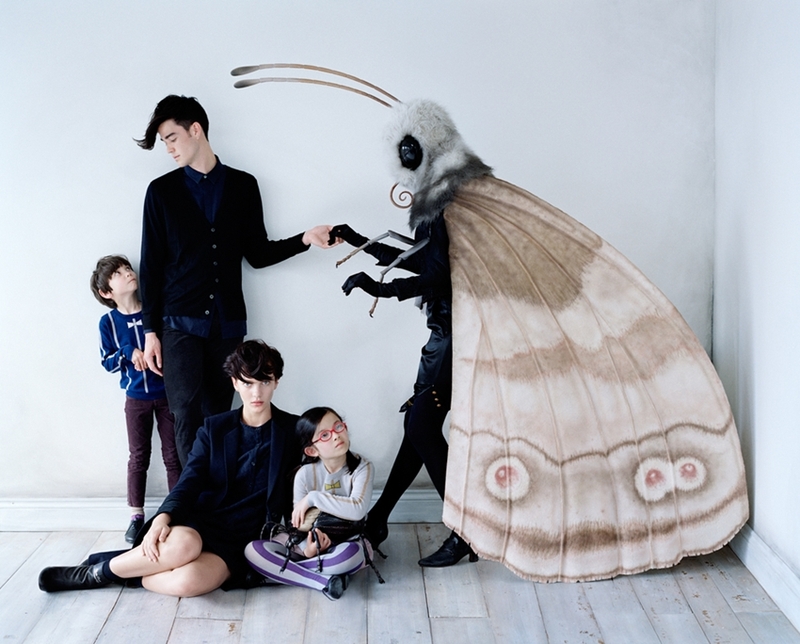 I haven't been able to find out who was responsible for creating the giant insects for Uniqlo's fashion advertisements announcing their new Uniqlo Undercover line by Jun Takahashi, but I am in love with them. Well, the insects, that is. Though the humans are nicely attired, they're not nearly as insect-inspired. 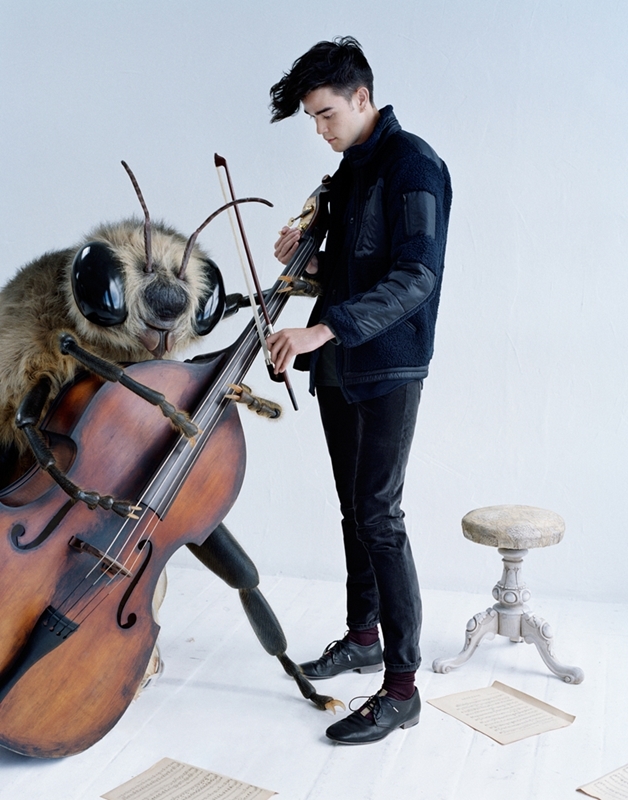 I'd trade any of those fine threads for a chance to jam with Bass-Playing Bee! Though this looks like a good idea, think twice before taking your lepidopteran lover to the opera- those bright stage lights might prove irresistible! UPDATE: The set designer is Rhea Thierstein. 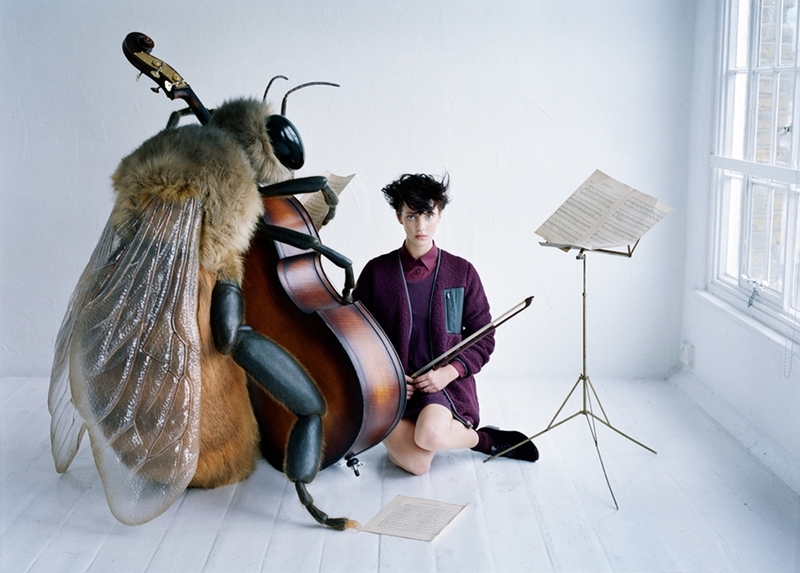 There's a swell bio of her on Papermag about her and her obsession with insects! 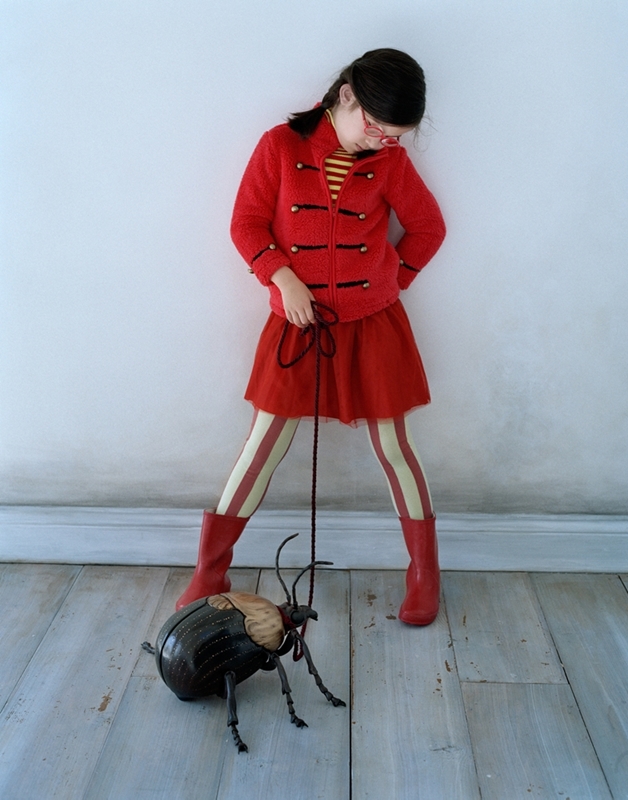 This entry was posted in fashion and tagged bee, beetle, grasshopper, matokie, moth, Rhea Thierstein. Bookmark the permalink. Methinks these bugs are photo manipulations, rather than real, practical costumes. It would be much cooler if they were practical, though. Turns out they’re really real! Somebody tracked down who made’em!